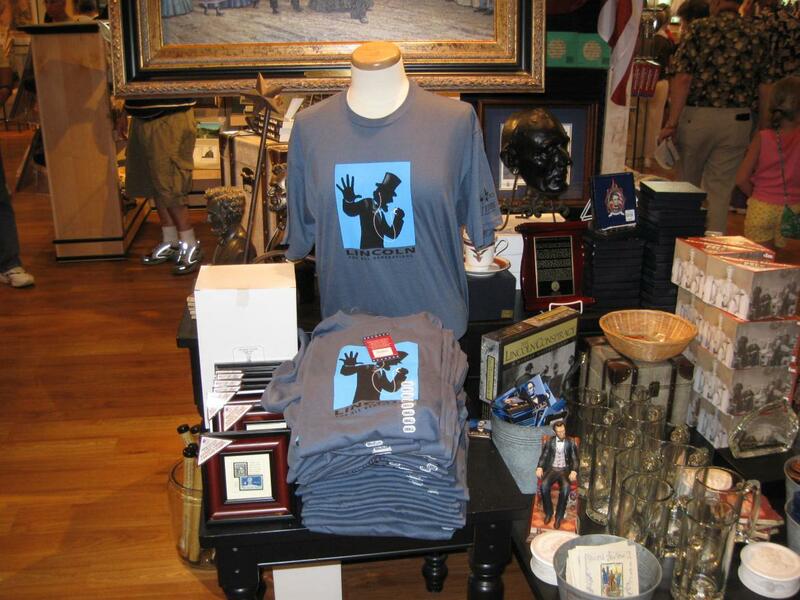 The Museum Store at Gettysburg National Military Park, run by Event Network, proudly sells this T Shirt of President Abraham Lincoln dancing to the music on his Ipod. This view was taken facing east at approximately 2:00 PM on Friday, July 3, 2009. President Lincoln, came to Gettysburg on November 19, 1863 to dedicate the Soldiers National Cemetery that would eventually contain over 3000 men killed or mortally wounded during the Battle of Gettysburg. Is there a more inappropriate location to sell this item? This view was taken facing east at approximately 2:00 PM on Friday, July 3, 2009. 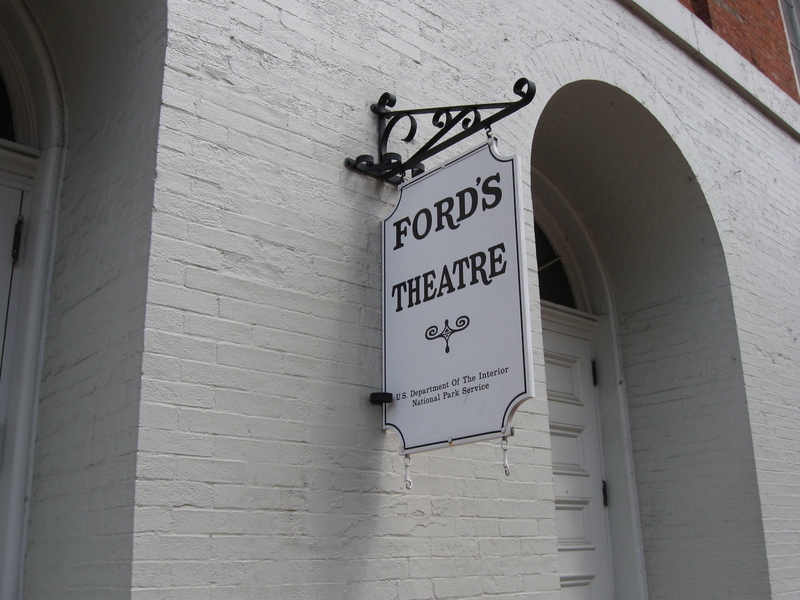 How about Ford’s Theater where Lincoln was assassinated? This view was taken facing southeast at approximately 2:30 PM on Saturday, July 18, 2009. 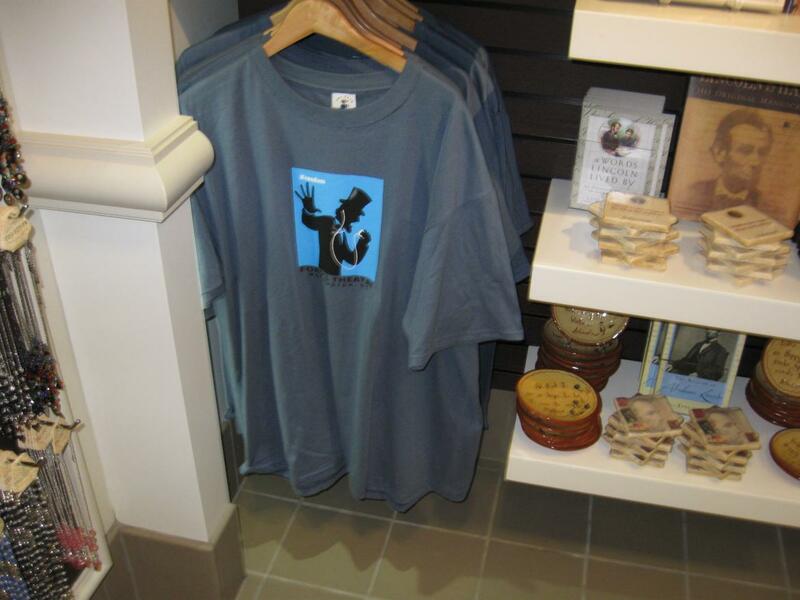 Event Network also runs the store here and our favorite T Shirt is on display at a couple of locations in the store. Fords Theater had comment cards for visitors, and we decided to fill one out stating that we thought that it was inappropriate to sell this T Shirt at Ford’s Theater. This view was taken facing north at approximately 2:30 PM on Saturday, July 18, 2009. 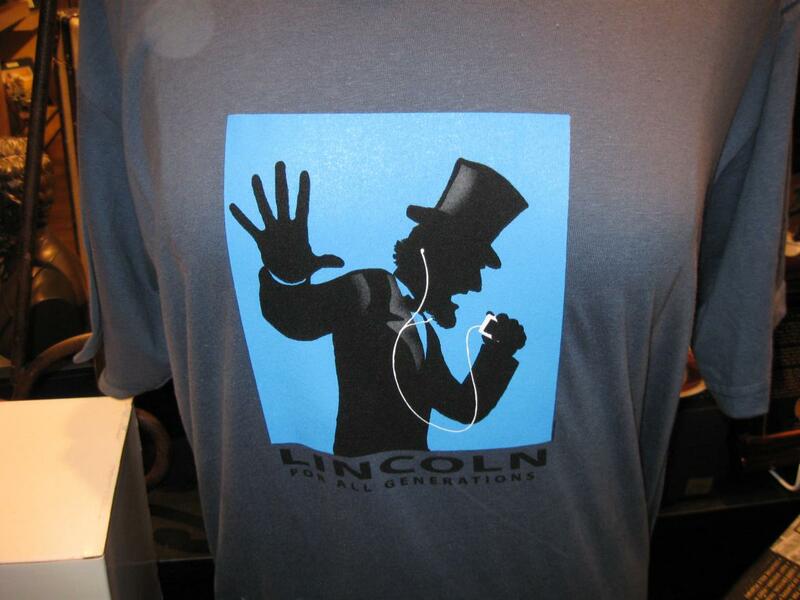 We finally received their reply this week: “While the shirt does not appeal to you, for many of our visitors–especially the younger ones– the item is very popular as it portrays Mr. Lincoln as someone that they can identify with.” They have missed the point we were trying to make, perhaps on purpose. We’re not saying that we don’t like the T Shirt. It might be appropriate to sell somewhere such as the Lincoln Home in Springfield, Illinois. 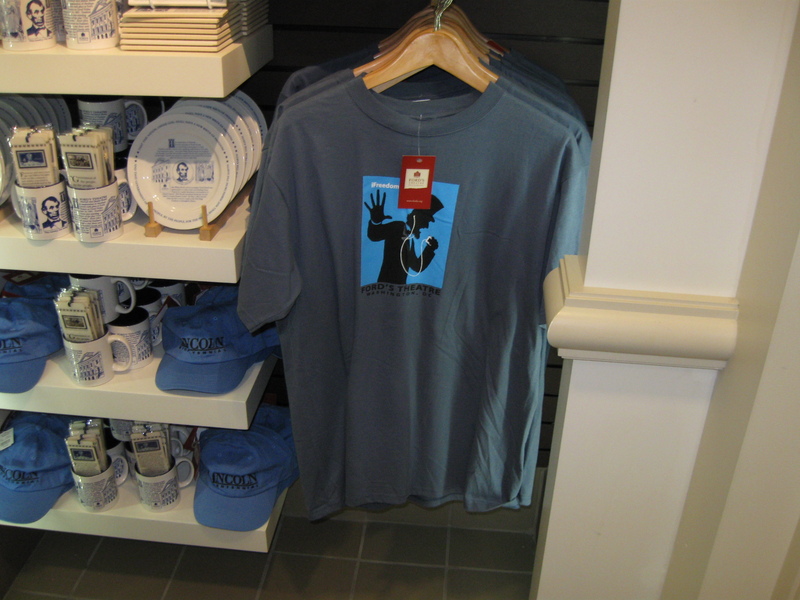 We don’t think it is appropriate to sell the shirt here, or at Gettysburg. To us their answer means that as long as it sells they will sell it, because its all about making money. The National Parks are not caring about educating or inspiring as much as they used to. This photograph was taken facing east at approximately 2:30 PM on Saturday, July 18, 2009. Fords Theater was specifically set aside as a National Historic Site because one of the greatest tragedies in American history took place here. To see how they now remember the assassination, let’s look at the front lobby. There are three items on display here. One of them is in the large glass case. The other is in the right background. This photograph was taken facing north at at approximately 2:30 PM on Saturday, July 18, 2009. 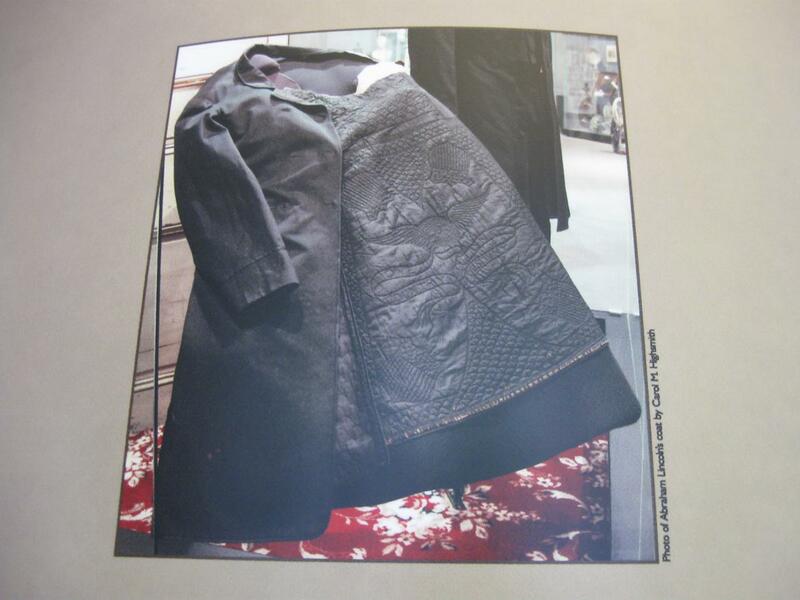 In the large glass case is this coat. This photograph was taken facing northeast at approximately 2:30 PM on Saturday, July 18, 2009. 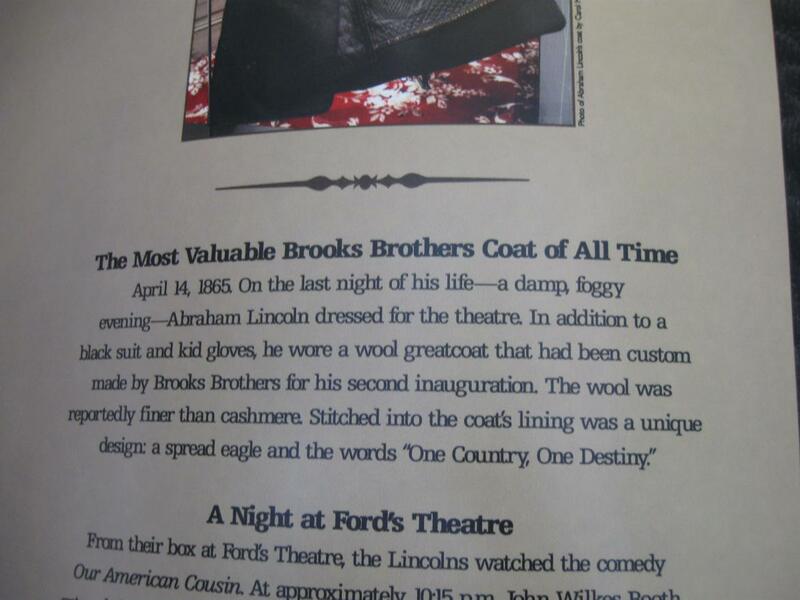 We think this coat is very appropriate to be displayed in the lobby of Ford’s Theater. 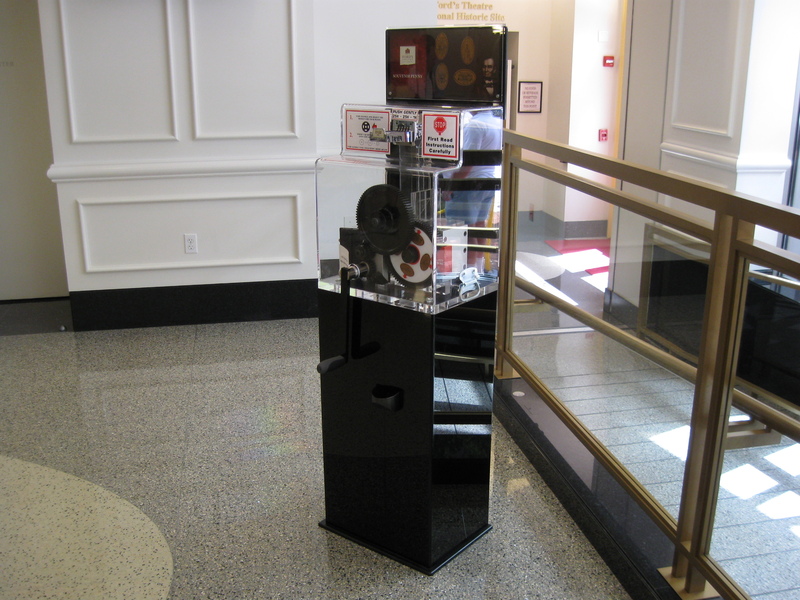 However, there are two other displays in the front lobby… This photograph was taken facing northeast at approximately 2:30 PM on Saturday, July 18, 2009. The two other displays in the front lobby are two of these penny presses. 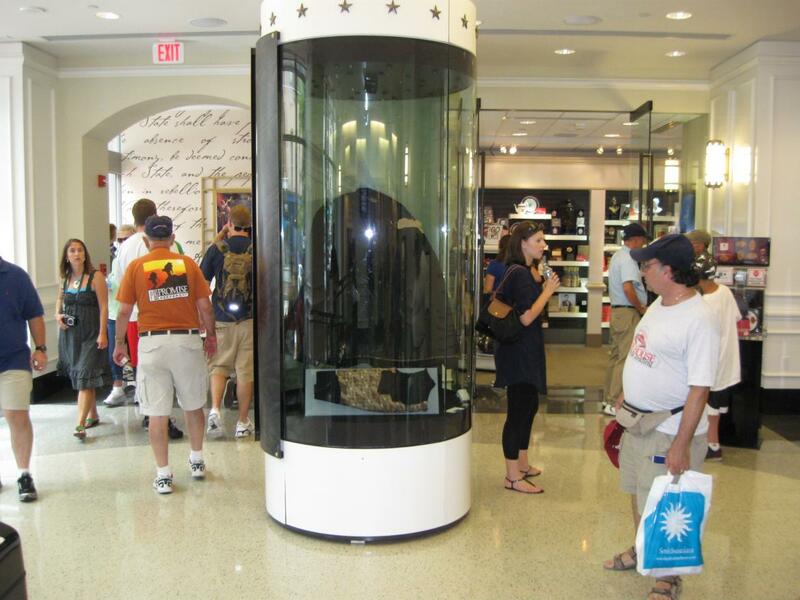 They are also carried in various locations at the Gettysburg National Military Park Museum Store. This photograph was taken facing southwest at approximately 2:30 PM on Saturday, July 18, 2009. 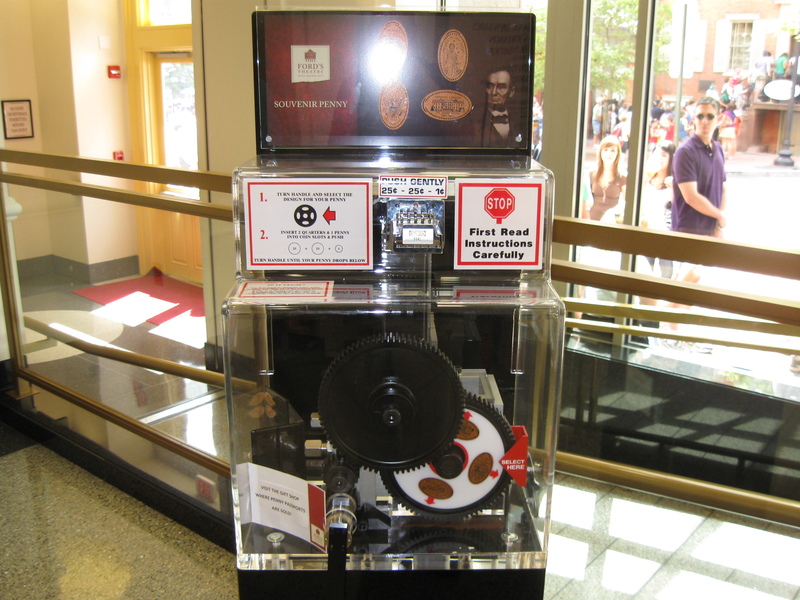 The Lincoln penny presses take a penny (with Lincoln’s head on it) so one can smash Lincoln’s face to make some sort of design. This photograph was taken facing southwest at approximately 2:30 PM on Wednesday, August 12, 2009. Because of the blatant attempt to make money, we have a difficult time seeing the educational/interpretive value of his these items anywhere on display at Gettysburg or the location where Lincoln was assassinated. 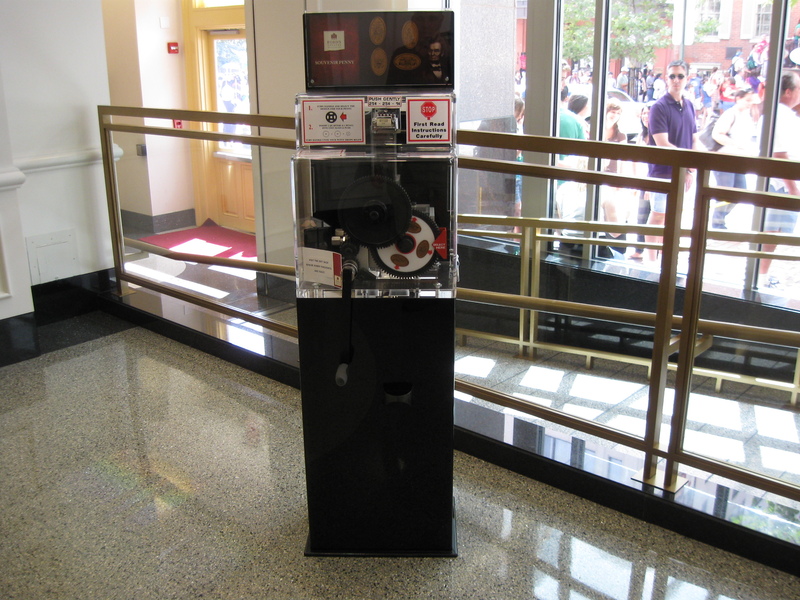 When two out of the three displays in the front lobby of Ford’s Theater are penny presses, we are strengthened in our conviction that the National Park Service has been sidetracked from its core mission at these locations. This view was taken facing southwest at approximately 2:30 PM on Wednesday, August 12, 2009. Last Day for Museum Ticket Prices at the New Rates on June 15, 2009.